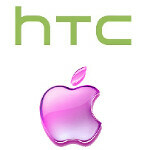 Apple and HTC have reached agreement on a ten-year licensing agreement that covers all current and future patents. Both sides refused to comment on the terms of the agreement although HTC added that the deal would have no significant impact on the company. The CEOs of both firms, HTC's Peter Chou and Apple's Tim Cook, both stressed the desire to continue innovating for the future. HTC recently had lost some battles against Apple in court including a ruling made last year by the U.S. ITC that the Apple iPhone and Apple iPad did not infringe on HTC patents. The Taiwan based handset manufacturer even made a $300 million purchase of S3 Graphics in 2011 with the hope that the latter's patents could help it on both the offense and defense against Apple. However, the ITC ruled that HTC's devices infringed on Apple's products. 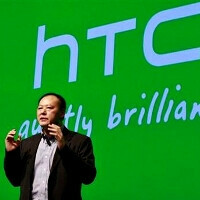 HTC joins Nokia as the only two handset manufacturers to have entered into a global licensing deal with Apple. In June 2011, Apple and Nokia shook hands on an agreement that paid Nokia a one-time lump sum which remains confidential along with the amount of royalty payments that Nokia receives. The main question is, where does Apple go from here? With one of the major Android producers on board, will Apple now target Samsung for a similar deal? Both firms are entrenched in litigation around the globe and on December 6th, Judge Lucy Koh will hold hearings on Apple's request for a permanent injunction on Samsung devices that a jury ruled had infringed on the Cupertino based firm's patents. At the same time, Apple is seeking to triple parts of the $1.05 billion jury award it won. Samsung seeks to throw out the verdict, claiming that the jury foreman lied by omission, and is asking for a new trial. 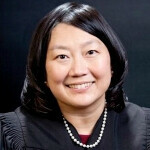 During the trial, Judge Koh requested high-level talks between Apple and Samsung and nothing came of it. It would be great if the industry's version of the Hatfield and McCoys could reach a deal to allow peace to break out in the wireless world, but when it comes to Apple and Samsung, we wouldn't hold our breath. Want to be Apple's friend? Try to lose market share as much as you can and you may be just as successful as HTC. HTC is on the road to become another Nokia. HTC forgets what's essential thing that makes a phone company successful these days: close cooperation with Google. HTC rise began when they made G1 and Nexus One SS rise began when they made Nexus S and GNex Sony has moved to 3rd after being praised by Google for cooperation with Android. We may see LG rise next year after they made Nexus 4. SS even intends to build a research center near Google and distance themselves from MS. So does Sony. HTC is moving closer and closer to MS embrace and some suggest the the pact between HTC and Apple was sponsored by MS against Google policy of no compromise with patent trolls MS and Apple. Sad, but in a few years we may not remember that there was a company with the name HTC. Geez... depressed much? I get a little tired of some of these "doom, demise and death" predictions and projections in posts. (Say that out loud- rolls off the tongue.) Nokia? Never recovering. Sony? Pathetic, uncompetitive. LG? Why are they still a company, the losers? Motorola? Google bought them for their patents. Second tier from now on. RIM? Forget them. HTC? Dead, done, buried. Insert eulogy here. So many people and analysts think mobile will never change. If it isn't Apple or Android from Samsung, forget it. They will never fall from their perches and no one else will recover or rise up. This is just nuts. This is a good step for HTC. It was a good step for Apple. If Samsung and device makersl follow suit, it would be great for Android in general. A good portion of these struggling companies will fail, but a strong vision will see others through. Apple and Samsung will fall off at some point. I think HTC will be fine in the long run. Gotta agree with ya. HTC phones running Win Mo 6 were probably the best phones MS had. Didn't Apple and Samsung try many times to make a deal? And now that there's finally agreement, you're still complaining. Isnt this the point we want to reach with all the companies that are suing back and forward? What is there to complain about this time? HTC is stupid, Apple's patents are mostly worthless like scroll to unlock, disappearing the scroll bar or rectangle with rounded corners... and many will be invalidated b-c they are not Apple's inventions after all like rubber banding. HTC capitulated before a patent troll and that's is not helpful for the industry. If HTC was willing to settle, they must have thought their own suits against Apple were just as trivial or unlikely to win. Apple and Samsung sure did try to make a deal. Apple offered to pay them one tenth of a cent per device for actual tech patents, so long as Samsung paid them in excess of $20 per device for rectangles and grids, while still not licensing many of the elements they were suing over. Sounds like Apple were really sincere about reaching an agreement. stupid & coward move by HTC, If samsung can get away without paying a dime. HTC will be the big looser in this game. What do you mean by "samsung can get away without paying a dime"? 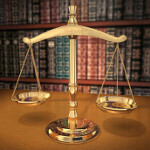 Samsung will file an appeal to challenge the Californian court's ruling. They have a good chance to get it overturned provided they play their cards right. Samsung doesn't owe s**t. Who patents a damn rectangle with rounded edges? What a generic patent that is. a billion is just advertising fees to Samsung. HTC and Apple are pathetic. Both of them will feel right with each other. We'll see how much Samsung owes at the end. It will be MUUUUUUCH less than a billion. HTC is now off of Apple radar. If they can reach a deal with HTC then why not with samsung ? Please do that . 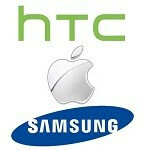 I am tired of hearing these lawsuits ..
Because htc is not a big competition for apple BUT Samsung IS. Samsung doesn't want money from Apple. They want the moral victory. Apple offered Samsung 1/10th of a penny per device for Samsung's patents, but wanted over $20 per device for their patents. Samsung's parents were for actual tech that made the phone function, Apples were for design cues like rectangles with rounded corners and for stolen ideas like grids of icons and swipe to unlock. It was Apple who weren't willing to deal. And, Apple still haven't paid a single dime to either Samsung out Motorola for the many patents they infringed for actual tech. $30 or $40 is too stupid and expensive a deal for a phone/tablet generic patent which was granted with no thought at all.